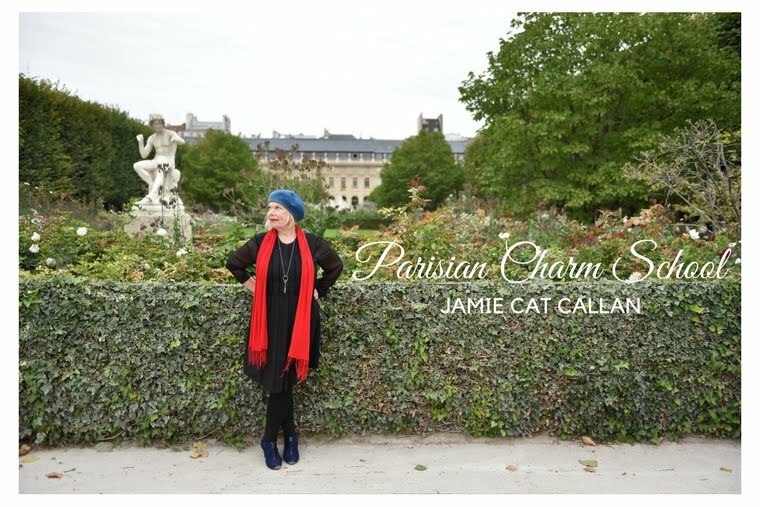 Jamie Cat Callan: Don't Step on my New Red Shoes! Don't Step on my New Red Shoes! Yes, I went shopping in Prague. Promod is actually a French store. It's one of my very favorite shops. I had to find a pair of comfortable flats because I've been doing so much walking while here in Prague and I did not bring sensible shoes. In fact, I spent my first two days in bandaids. Lucky me, I found a pair of very cute shoes right away. I've fallen in love with my new red shoes! Patent leather. Perky black bows. Flats. Great for walking. How could I not love them!? Here they are in the hotel room, taking a petit rest. Here they are on the Prague metro elevator. The metro elevators are crazy fast very and very steep! I have to hold on tight. It took me several times to get used to them. Now they're on their way to the Goldschmidt Conference to listen to scientists from all over the world talk about climate change. 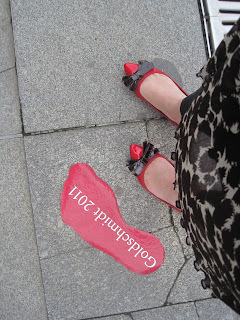 These are very socially conscience red shoes! All the sidewalks here are made from very unique stonework. Each stone is handmade and placed in an intricate pattern. Nothing is machine made. It's all very artistic and unique to Prague. And so pretty. And Prague has some very special manhole covers too. 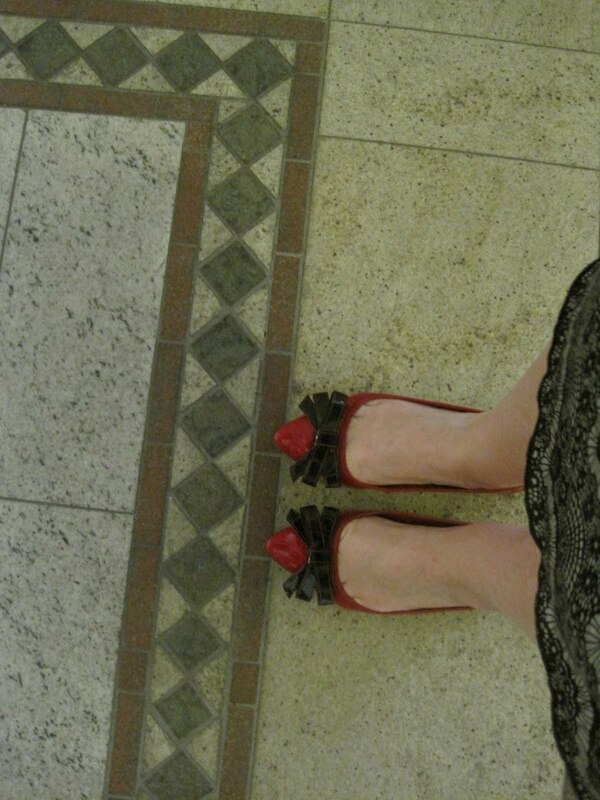 And indoors, there's lovely tile work. at The Globe Bookstore--because that's where all the cool expats hang out! I really LOVE those shoes ! If I had found them I would have bought them too! Bonjour, Jamie, from "Amy in Minnesota" - and bonjour cute shoes! The bows are absolutely adorable...you did make me proud with your selection! 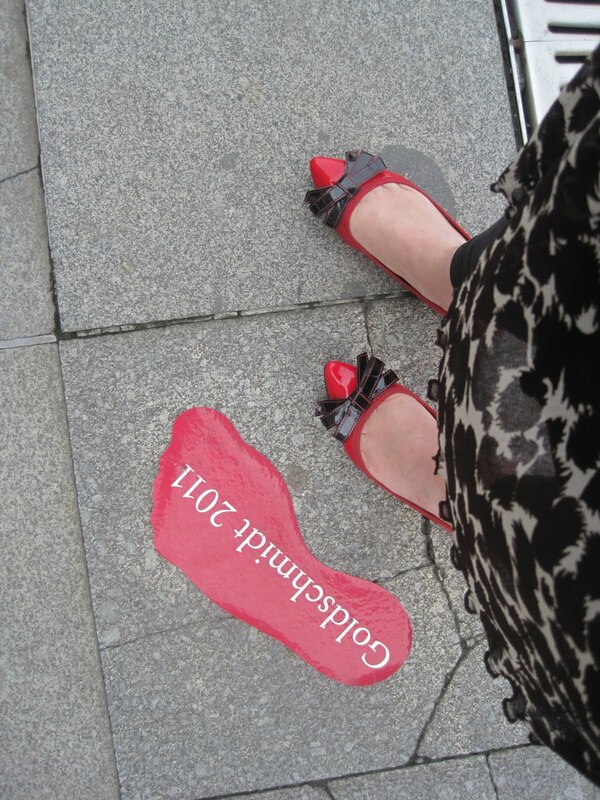 I think it should be your goal, from now on, to buy a pair of red shoes whenever you travel. You already have the pair from the market in Valence d'Agen and now this pair of beauties...you're well on your way! 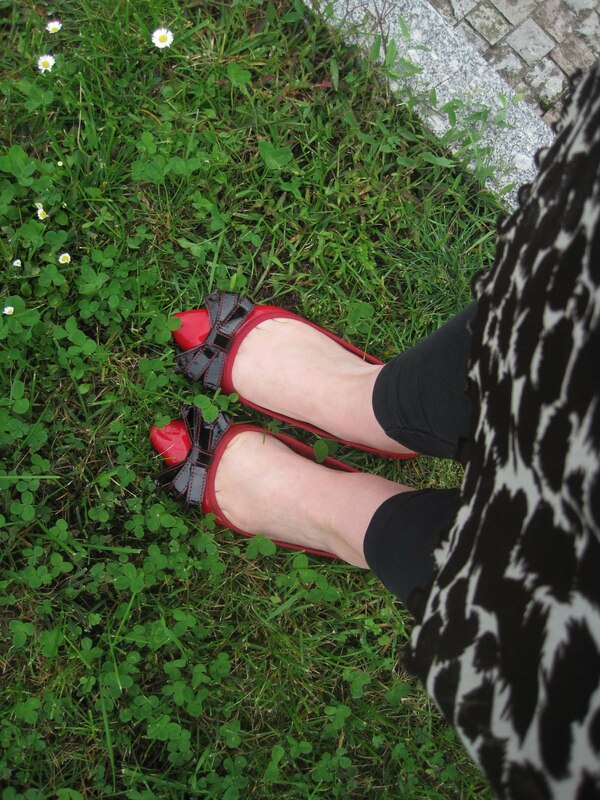 Bonjour, Amy--what a brilliant idea to start a Traveling Red Shoe Collection! I will do just that! Sending you love and joy, Amy. Hope your writing is going swimmingly. Please be sure to keep me posted. The shoes are lovely, but I have to admit, they make my toes hurt just looking at them! By the way I'm reading your book on Kindle at the moment and really enjoying it. Love those shoes!! 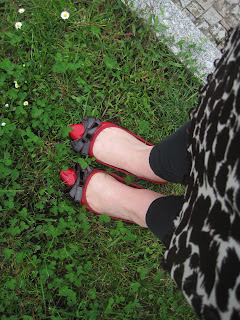 I have been on the hunt for super cute flats and have yet to find any. Such creative photos to showcase them too :o) Just started following your blog and enjoying it so far...hoping to buy the book soon! Thank you for sharing this wonderful blog. I love your shoes they are so beautiful and elegant. Anyway, I'm looking for the perfect gift to my sister and because of your blog I got an idea. Keep sharing!